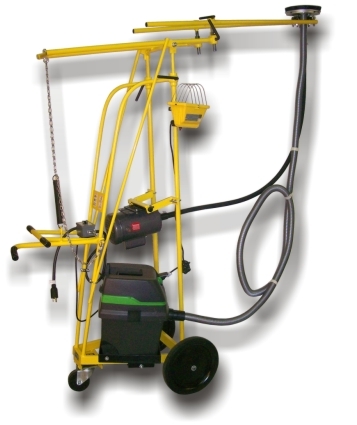 Self aligning, grinding head makes full surface contact easy to operate because it needs no adjustment. 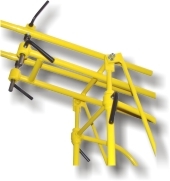 Welded frame is fully adjustable and configurable to any ceiling grinding requirement. Electric Model CG12E with 2 HP Baldor motor with thermal overload protection. Gas Model CG12G with 3 HP Honda engine. Grinds ceilings 7 feet to 12 feet high. Swivel adjustment allows grinding up to and along edge of the wall. Self aligning grinding head makes full surface contact easy to operate because it needs no adjustment. Electric Model CG12E with 2 HP Baldor motor. Gas Model CG12G with 3HP Honda engine.